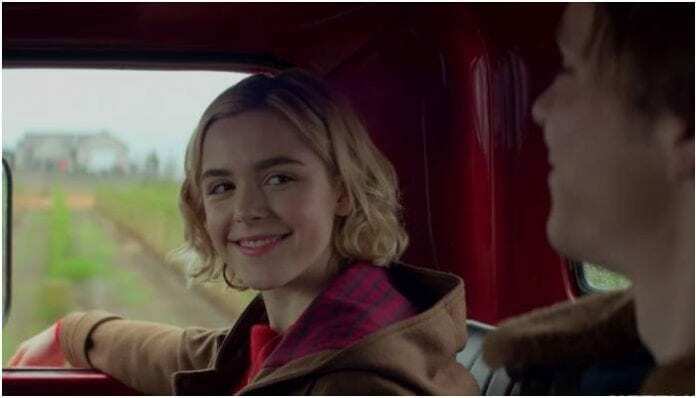 Netflix’s latest series, the Chilling Adventures Of Sabrina may have just had its debut on the streaming service last month, but that doesn’t mean we aren’t already marking our calendars for the release of more episodes. Luckily for us, the wait won’t be too much longer, as the show has already been picked up for a second season. But, what’s even better than that, Netflix will be gifting us a holiday special later this month. As we recently reported, the show will be releasing its holiday special, titled Chilling Adventures Of Sabrina: A Midwinter’s Tale, on Dec. 14, and ahead of its release, a seriously creepy (uh, festive?) trailer has been posted. What did you think of the trailer for the show’s holiday special? Let us know by sounding off in the comments!